Every week, almost without fail, I receive? ?the email that all webmasters dread:? ?“LINK REMOVAL REQUEST”. Usually, these links are in comments. Lots of comments on different blog posts. Great. Now I have to drop everything and remove the links that “someone else that was not us”? ?put on my??website. It was this tedious task that inspired us to include a new feature in LinkPatrol: ? ?in addition to stripping or nofollowing links in posts or pages, LinkPatrol v1.1 can now nofollow or strip comment links. So the next time you get an email asking you to take down all links to a certain domain “added by a third party”, you won’t have to go through the tedious task of manually finding, reviewing and removing each??one. Now, you can simply strip all links to that domain from LinkPatrol > Nofollow / Strip dashboard page. This feature currently only works with native WordPress comments, and not with third-party comments systems like Disqus or Livefyre. If you activated your license key, you can update? ?LinkPatrol just like any other WordPress plugin from the WordPress admin dashboard. You can read more about updating WordPress plugins here and activating the LinkPatrol license key here. 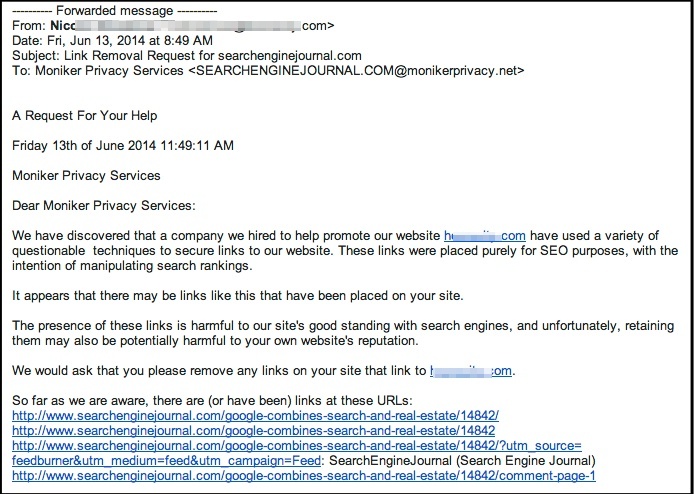 Find out what’s lurking on your website: Get LinkPatrol today.